A joint collaboration between the State Theatre Centre of WA, Perth Theatre Trust and RTRFM, The Courtyard Club is back for its 2018 season in November and December. 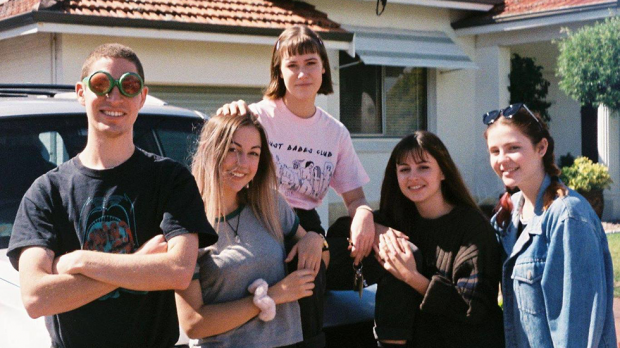 The weekly local music series is of course held in the courtyard of the State Theatre Centre and will feature more acts than you could poke a stick at. Best of all, it’s FREE ENTRY every week. The opening event takes place on Friday, November 2 and will be kicked off by Mal de Mer (pictured), Izatang, Raksha, Timothy Nelson and DJ Girlname. Some of the series highlights include Web Rumors, Feels, Rabbit Island and Soukouss Internationale. Each Friday will be concluded with the tunes of one of your favourite RTRFM DJs. 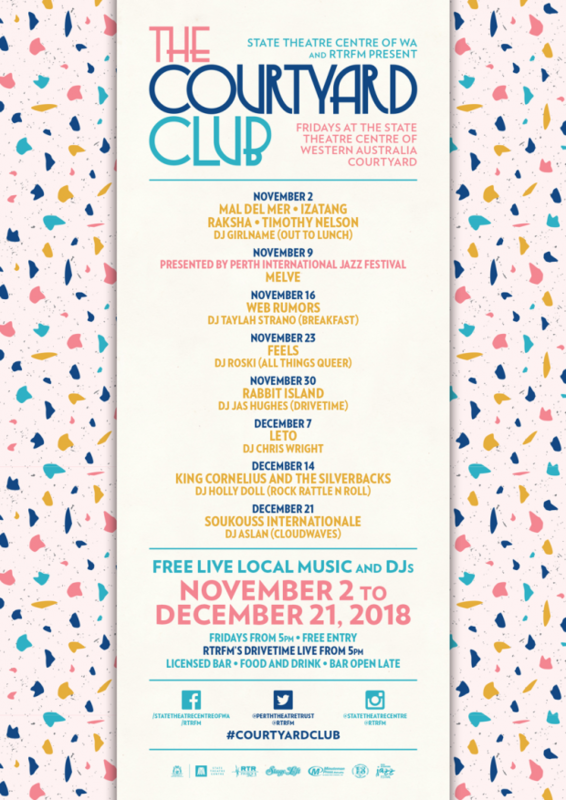 The Courtyard Club runs each Friday at 5pm from November 2 to December 21 in the courtyard of the State Theatre Centre of WA. For more information and the full schedule, check the art below or head HERE.